Just cut, stitch, trim, and turn to make fusible appliqu?s! Two clusters of 3 tulips/2 leaves per panel. Five 12" x 18" fusible interfacing panels per pack. 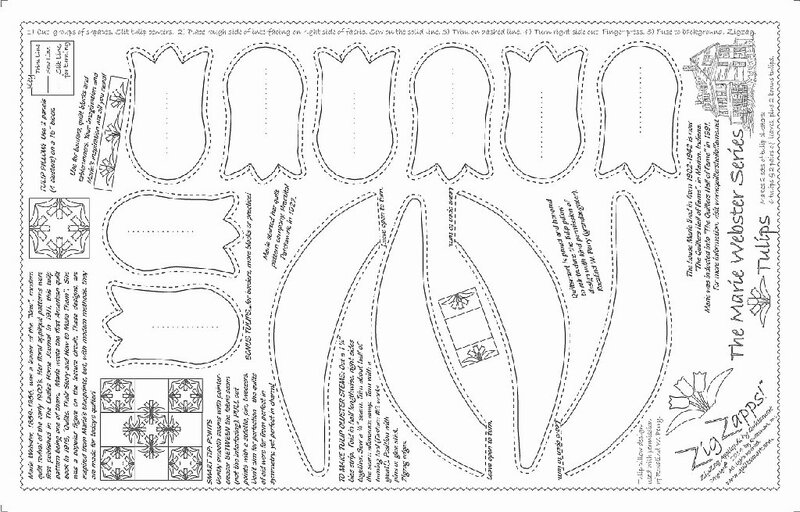 These panels can be used to make Marie's 100 year old pillow pattern or to create blocks for your own quilt design. Instructions and tips printed on the interfacing. To make the quilt pictured here you will need 8 panels. video and TWO CLUSTERS ON EACH PANEL> takes 2 panels to make this pillow/mat.